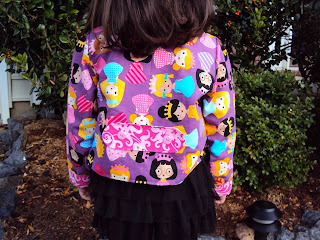 I had another opportunity to test a sewing pattern for Amelie clothing (formerly, Kikoi Patterns). This time, a sweet little blazer- just perfect for cooler, NC fall weather. This pattern was very straight-forward- easy to read and follow, just a little time-consuming- but no questions with the pattern/tutorial, itself. I'm so happy with the end result! I admit, the Robert Kaufman Princess fabric that I chose to do the pattern (with hot pink accents) is a little wild. However, it will go swimmingly with a dress I have in the works for Lil' Miss (for no other reason than I LOVE that fabric and so does Katy!). I love how Amelie clothing includes lots of pictures and color-coded guidelines in the tutorial. They say that a picture can say a thousand words and in the case of sewing patterns/tutorials, that is so true! The fit of the blazer is roomy and light. I love cuffing the sleeves to get a hint of the accent lining. 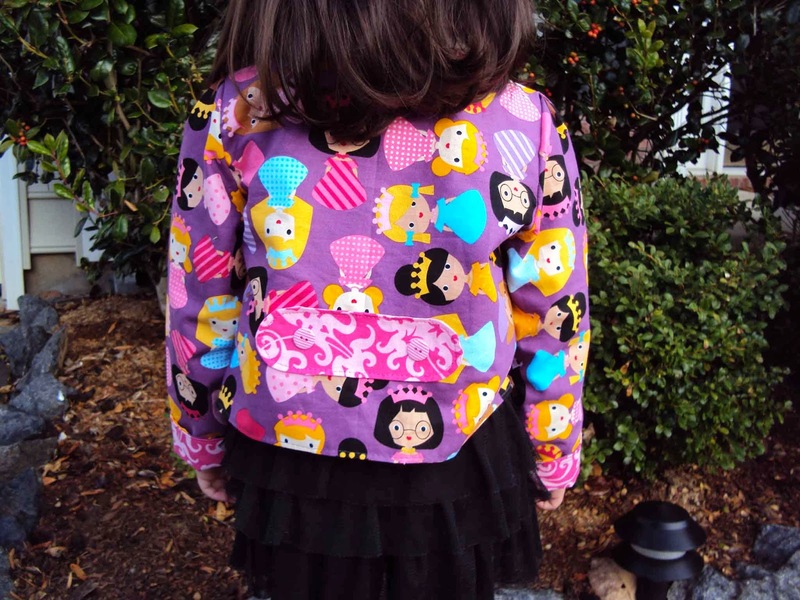 This pattern could easily be made reversible and has lots of opportunity to personalize. Also, next time I sew with this pattern, I'll be making the pockets functional (in the pattern, the "pockets" are just flaps). 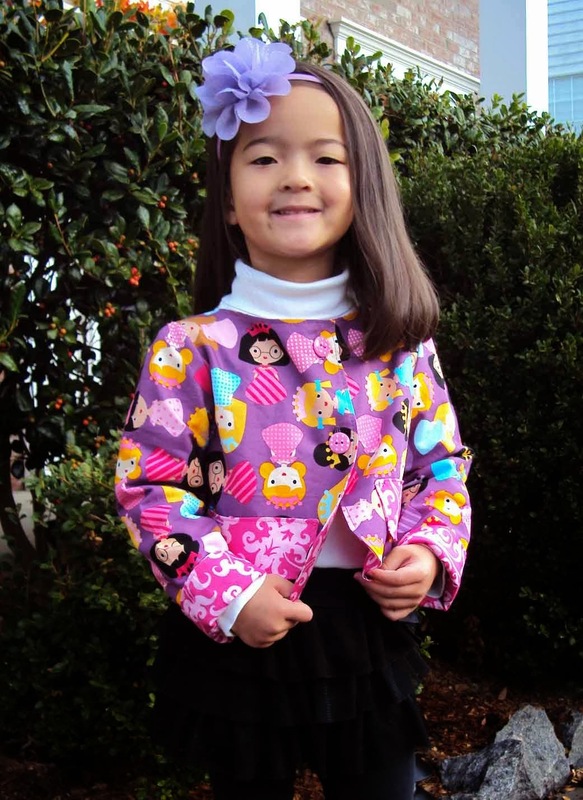 Fun, fun- thanks for allowing me the opportunity to sew for you, Amelie clothing!